Mad Dogz - Serving Hot Dogs to Grand Rapids and all of West Michigan! At Mad Dogz, we are proud of the reputation we've built since opening our doors on October 14, 2009. Our 8-to-a pound, all beef hot dogz are locally made and loaded with your favorite toppings (and a few different ones). Ever try a hot dog with mac and cheese, peanut butter, or cream cheese? 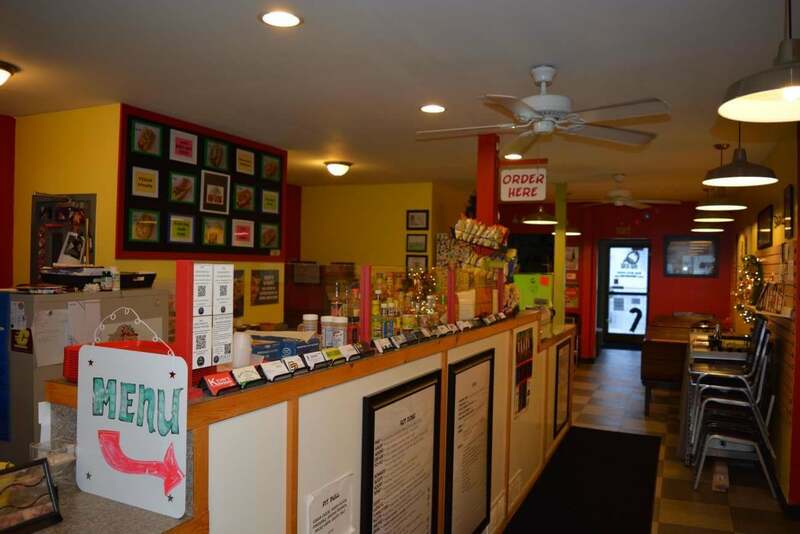 Stop by Mad Dogz and experience a hot dog like you've never experienced one before. Catering - We cater private parties, fundraisers, graduation parties, and other events. For more information, contact us. Vegan Friendly - Our vegetarian hot dogz feature 8 grams of protein and are available as an alternate to our all beef dog. Gluten Free - All of our toppings are gluten free and can be enjoyed by everyone! Stay connected to Mad Dogz through social media! Located in beautiful Comstock Park, MI across the street from the Dwight Lydell Park. We are less than a mile south of the Fifth Third Ballpark and directly off the White Pine Trail. Sorry, there was an error sending your message. Please ensure you have completed the CAPTCHA and try again. Thank you for your interest in Mad Dogz! Please fill out the form below and we will respond to you. ©2017 The Mad Dogz, LLC. All Rights Reserved.